The increasing irrelevance of Ham Radio Emcomm. Remember Hurricane Harvey? ?— In Houston, a reported 95% of the telco cell network stayed up. Houston area cell providers promised to harden the network after Katrina- and they did just that! —- As a result, nearly all communications with public safety agencies during Harvey were conducted on the working commercial cell and POTS infrastructure. Zello ( is a push-to-talk app for mobile devices and PCs.) with 120 million users around the world. Available wherever there’s WiFi or data service. And unlike “walkie-talkies”, there are no limits to users, channels or category of use. Over 1 million Houston area citizens downloaded the Zello app in a single day during Harvey. In the Houston area, people got on Zello the “radio” and self-formed local networks—-Complete with map-based location identifiers—-Hurricane Harvey was what one media outlet called the first Social media Hurricane. Citizens created “family” groups, “neighborhood” groups, “work” groups, “School” groups to name a few. And they had easy transparent communications between them all. Coast Guard asks people stranded by Harvey to call them instead of posting on social media for help. 24 Hours later– the Coast Guard backed down and began using Social Media as well. During Harvey the ARRL Houston ARES PIO, Mike Urich, KA5CVH suggested (in a surprisingly candid interview), that hams didn’t have much on-air work to do at the”EOC”. ARRL South Texas Public Information Officer Mike Urich, KA5CVH, told ARRL on August 30 that “hardening” of the telecommunications infrastructure to make it more immune to storm damage has diminished the need for Amateur Radio communication support and altered hams’ traditional role there. Urich pointed out, however, that the Amateur Radio telecommunications infrastructure in South Texas has remained analog, as “the lowest common denominator” of technology — VHF/UHF FM, and HF — and has the highest degree of interoperability. “That’s what we train to, that’s what we teach, that’s what we practice,” he said.— SOURCE: ARRL Web site. The Senhaix 60 (at top)– is a radio entry to the network. Loaded with Zello it becomes an invaluable tool in communications that people used via smart phone (by the 10’s of thousands) with zero training during Hurricane Harvey and other events. This emerging class of software and devices has enabled people to bypass the need for a “license” to communicate via “radio”. —- Harvey demonstrated that Ham Radio and even Local Government traditional EmComm models are obsolete.—- One Houston area Gov’t organization said early on in a bulletin to the public— Do not use Social Media— we won’t get to you Call us on the phone!—- Guess what? The public ignored them. Within 24 hours the local agency changed their tune. Even the US Coast Guard found it hard to break from the tired/linear model —They implored citizens to “Call us on the Phone” They too, backed off when literally hundreds of thousands of people in Houston were using various Self-formed networks made easy by apps like Zello and WAZE. One smart coder- soon after Harvey’s land-fall, created a “crowd-source” rescue web site to aggregate rescues in the region. The data was credible in showing the status of rescues for all to see. Complete or Pending. (Or who is left out there needing help??!! )— The Web site was quickly seized upon as a real-time “live” Database for localities to determine who needed rescuing. Further, in the shallow yet flooded streets of Houston, Rescue teams in boats could not see where the streets were— so they used WAZE for accurate navigation to reach those needing help. Add the powerful GPS tracking app GLYMPSE that many used — the decentralization of communications is a far more efficient model than that of Ham radio. KA5CVH, Mike Urich said the emcomm Hams assisted in the “EOC” as being “another set of eyes and ears”. He noted how a senior EOC official needed a specific trailer hitch and Mike got online and researched it for him.– This was an example of the Ham Radio team’s contribution. “When all else fails” Urich noted that they go for the “lowest common denominator” analog systems that work and have the widest interoperability. This model uses the most rudimentary ham radio gear and skills. “That’s what we train to, that’s what we teach, that’s what we practice,” The many “digital modes” available to Hams are not used. Ham Radio emcomm’s “rai·son d’ê·tre” is evaporating. The Newington propagandists will continue to promote the “When all else fails” myth But it won’t matter. They live in an echo chamber. Technology and the public have left Ham radio behind. QUICK!! You live in California– Huge wildfires are licking at your door. The next few hours will be critical to your family’s safety. You can pick up your smart phone or a 2 meter rig. Which device do you take? Yes, there will be events where the inefficient /traditional/analog workflow model of Ham Radio will still be useful. But as Networks become hardened, and as more devices like the Senhaix emerge, the relevance of Ham Radio emcomm will be exposed for what it is. An anachronism from the analog past. Oh the gadget above: The Senhaix 60 is the natural evolution of the Wireless Device environment. More will surely follow. The 3 apps below are in widespread use around the world. They are not “new”. Kenwood and Yaesu introduced new HF transceivers with completely different architectures. Kenwood managed to build a fresh new HF-radio– with some distinct features yet without diminishing the 5-year-old big brother– the TS-990S. Yaesu’s FTDX-101D is a full-on SDR. The price point undetermined at this time. Both of these new rigs appear targeted against the Icom 7610. There are already on-line user groups set up. I joined just to follow the doings as these radios finally ship and we get to hear real-world feedback. They both look like fun Mid-Range HF Rigs. Elon Musk is a business magnate, investor, and engineer. Arguably one of the most interesting and creative men of the Digital Era. A genius from South Africa who had a tumultuous upbringing and fled to the United States. Entrepreneur and innovator behind SpaceX, Tesla, and SolarCity, he sold one of his internet companies, PayPal, for $1.5 billion. — From his “Boring Company” to his $500 Flame Thrower to his Giga Battery Factory in Nevada he continues to innovate. Elon Musk is not a “One-Hit’ wonder. In June 1982 as a Cameraman for NBC News based in Washington D.C. every Saturday for a month, I was assigned to stake out the U.S. Federal Courthouse where the trial of attempted Presidential assassin John Hinckley was underway. All the networks and the print media set up on the front lawn of the courthouse. (This was back when Federal Courthouse security was waaaay laxer than it is today.) Our job was to await new developments and the lawyers would periodically come out and stand in front of the microphones and update the press. We in the Press Corps called the setting, “Hinckley Beach” since it was summer and little happened until the end of the trial. We’d bring lawn chairs, coolers, and umbrellas to beat the DC summer heat and humidity. One weekend, I threw my Kenwood TS-130 HF rig in the microwave truck and and a Hustler Mobile Whip that I mounted on an upside down trash can (a faux ground) and set it up on the roof of the van. A Washington Post photographer thought my radio set up was interesting and shot the photo above. It didn’t make it into the paper, but he sent me a copy. My recollection is, I worked a lot of DX on 15 meters that day. I declared myself a “Special Event” station and foreign hams would express surprise when I told them where I was operating from. Surely operating from the courthouse would be prohibited! I was on the air, MC-60 mic in hand when this photo was taken. It was fun. In High School, I attended a military boarding school in Oklahoma. Known as the “West Point of the South West”, the Oklahoma Military Academy was well run and had a good staff of former military professionals. I went back for the 50th Anniversary of my 1968 graduation in June of 2018. That school made me a better soldier in the Army when I joined in 1969. A photo I shot reunion weekend in 2018, 50 years since I was last there. The memorial above honors the Cadets who were Killed during WW II, Korea and the 21 who died in Vietnam. It took me 6 years to get my undergraduate degree from the University of Texas at Austin. I had the GI Bill, and I worked part-time and I was in No hurry!! Who wanted to leave Austin in the 70’s?!? I picked up an FCC 1st Phone Ticket and got an entry-level gig in Austin at KLRN-TV. I was a “go-fer” on the PBS Music Show Austin City Limits (which is still on the air!) and most summers I went out and worked Pipeline Construction around the nation. (New Mexico, Oklahoma, Michigan, Alabama, W. Virginia and Texas of course.) As I finally was getting around to graduating I sent my Resume all over the country. I got a job as a VR (Vacation Relief) at NBC Washington. I was made a permanent hire 3 weeks after I started. In DC there were always lots of cool courses on the various campus sites in the city. NBC paid for coursework that was related to your professional responsibilities. I took at least 10 continuing education classes over the years– from graduate programs in the area. I picked up a Six Sigma Green Belt and ITIL certifications which were pretty standard in management programs. Life-long continuing education is no longer optional. After spending 18 years in the field as a Cameraman/Editor/Field producer/Tech Ops I took a Masters Degree at American University and then I promptly descended into management. I had a blast in the AU graduate program. And I was invited back to teach in the Film and Video program as an adjunct in 2000/01/02. There was always an interesting course each year somewhere in the region. I took advantage of it. Footnote: My favorite Media production “Learning” environment? Lynda.Com It is a part of LinkedIn and owned by Microsoft. Quality software apps and business process learning. If you’re not familiar with it— You should take a look. I was the network television pool camera for the Desert Storm “Victory” Parade. We were on a Flat bed truck rolling in front of the parade leaders. I took this still image of General Schwarzkopf and his staff at the front as they marched down Constitution avenue in Washington DC., The parade was in June of 1991. I used the photo for a “Veterans Day Special Event Station” 1991. On Veterans Day that Year (91) it was pouring rain! Wet and Cold. We operated near the Vietnam Veterans Memorial in the service drive next to the Lincoln Memorial. We were in an empty truck similar to a UPS delivery truck with no packages. We set up a table and put wire antennas out. It was fun. This was the first Special Event Station I organized. Me and several Hams from NBC manned the station, set up near this monument statue at the Vietnam Veterans Memorial Wall. On the air there was a tremendous response. I shot this photo on the morning of Veteran’s Day 1990. About 7am. I’ve always liked this statue. Jan Scruggs the Vet who made the wall happen, came by that day and said hi at the station site. Learn about the .radio extension–Click on image below. or GO to www.nic.radio. Random career photos — Scroll Down please. Looks like about 1982. I can’t remember what the event was! Laughs. 2008: Panasonic Pro HD cam with Canon 22:1 Glass. P2! 1979 Andrews AFB The Pope had just arrived. Summer 1985 — Joe Namath was to be inducted into the NFL Hall of Fame. In early summer we flew up to Connecticut where Namath still has summer Football camp for kids. As I recall we were there 3 days to shoot a “profile piece” on Namath for NBC Sports. It’s impossible to overstate how much fun it was shooting that story. Namath was sincere,friendly and you would never have known he was still one of the most famous Sports celebrities in the nation. Below: I’ve still got the Sun Visor! Middle East: Military Transport Depot Dahran, Saudi Arabia. January 1991 (before the ground phase began). Some of the dozens and dozens of Press Passes from over the years. Above: With the US Army Parachute team: The Golden Knights. Los Angeles Mayoral Debate 2012. Me in the Control Room. Above: I worked at the Oscars for 9 years in a row. What a blast! Who gets to have this much fun in the last decade of their career? Above: This is the shot millions of Americans recognized in the years of Washington Coverage pre-1990. This is the balcony of the Russell Senate Office building. Known as “the Russell balcony”. Reporters have stood at this open window for decades delivering Washington DC coverage. Above: My first time at the White House. Jan or Feb of 1980. President Carter was not in the White House compound that day. Me and Jessica Savitch. Among the first Women to anchor a Network Evening Newscast. Los Angeles Lakers NBA Champions 2010 PARADE Crowd. wa4d photo. The Kalashnikov assault rifle changed the world. Now there's a Kalashnikov kamikaze drone. Latest upgrade to this imaginative and substantial QRP HF rig. Variable PWR 1-20 watts. Click the Image to see the Amazon Listing. Augmented Reality will spark the next big tech platform—Call It Mirrorworld. See the Wired cover story. If ever there was a group that needed this article-- it is the slovenly, sedentary, sclerotic population of Ham Radio operators. The Wired Guide to Quantum Computing. "Only God can count that fast" . What will Tech look like in 2039? 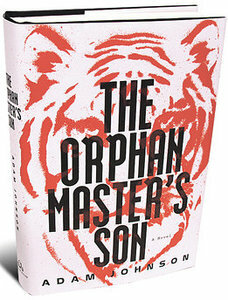 "The Orphan Master's Son" takes place in contemporary North Korea. The tale of a Korean boy who grows up to work for the dark side of N. Korea's government. A brutal story. Hard to read. Hard to put down. Occasional tiny rays of humanity creep into this riveting yet repulsive story. Read it-- If you've got the guts. It won a Pulitzer Prize for Fiction. Powerful, Cruel, heart breaking. No happy ending.